ASUS E406MA LAPTOP GREAT FOR SCHOOL PROJECTS AND EVERYDAY USE. The laptop comes with all the apps and tools your child needs, including Chrome, Scratch, Spotify, Steam, Writer and hundreds more. With access to the app store, you can easily outfit the computer to your familyâs specific interests and needs. SAFE, AD-FREE, VIRUS-RESISTANT computer with PARENTAL CONTROLS makes Hack the perfect space to have fun and learn. Kids will enjoy the independence of having their own computer, and parents can reclaim theirs. Interactive Flip-to-hack feature lets kids immediately EDIT THE CODE AND SEE THEIR CHANGES. Linux-based Endless operating system makes it possible for kids to ACCESS THE SOURCE CODE and ultimately HACK EVERYTHING ON THE COMPUTER. Access NEW hackable GAMES, APPS and STORIES that unlock as your childâs skills evolve. The first 12 months of the content subscription are free for launch customers ($120 value). Appropriate for ages 8-12 and no prior coding experience required. Kids learn how to code like the pros! Hack is the only computer that teaches kids how to code by inviting them to hack the apps, games and even the operating system. Itâs the best possible sandbox for learning how to code because kids access source code on a real computer and have fun doing it. Hack is delivered on the high-performance ASUS E406MA which is perfect for school projects and everyday use. 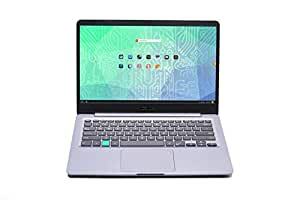 The laptop comes pre-installed with additional apps for learning how to code, tackling homework, playing games and safely browsing the internet. With access to the app store, you can easily outfit the computer to your familyâs specific interests and needs. Hack is brought to you by the worldâs best game designers, lifelong open-source engineers and proud parents of preteens. The company is powered by Endless which has enabled millions of people around the world with access to information and technology.